Simplest weaving on a precut greeting card. The simplest weaving on a precut greeting card. Ten ribbon combinations allow for individual preferences: male and female, young and old. The problems to be solved are similar, allowing therapists to make accurate assessments in groups of 6-8. 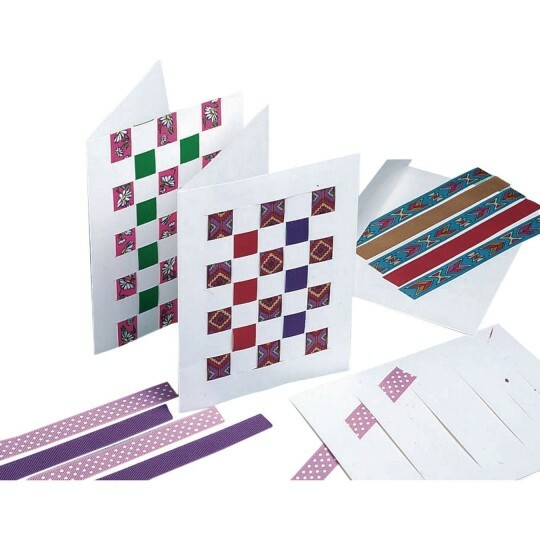 Kits include slit cards, envelopes and precut ribbon. Patterns may vary. Order glue separately. Cards: 5" x 7". Level 4.0-5.0. Easy and convenient assessment tool but may not be cost effective if used in large quantities.